What Is the Story of The Mound Builders? 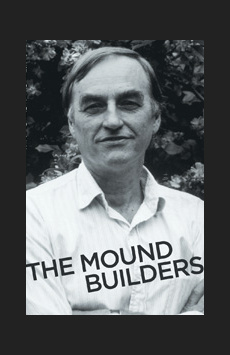 Set in the mid ‘70s, The Mound Builders tells the story of Professor August Howe and Dr. Dan Loggins, a team of archaeologists who rent a house for the summer in Blue Shoals, Illinois, in hopes of uncovering the mysteries of the area’s prior inhabitants. Along for the ride are August’s photographer wife Cynthia, eccentric novelist sister Delia and precocious daughter Kirsten, as well as Dan’s gynecologist wife Jean, who is pregnant. When Chad Jasker, the socially awkward son of the landlord, begins to stir up trouble, the entire house is pulled into the chaos. Just when the team is making headway with the excavation, a traumatic event occurs that will change all of their lives forever.